Each set was cut from a different slab. The top ones look like cherry creek. 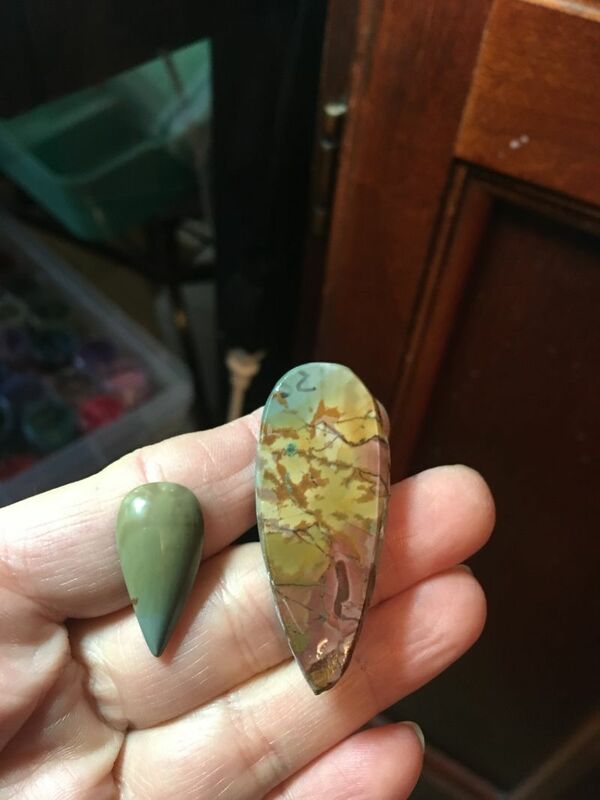 The bottom right looks like some kind of Owyhee Jasper and the left could be many things, but I immediately thought of Crayola jasper. Not sure on any except the bottom right which looks like Rocky Butte Picture Jasper, to me. Cherry Creek & some Oregon/Idaho picture jasper. 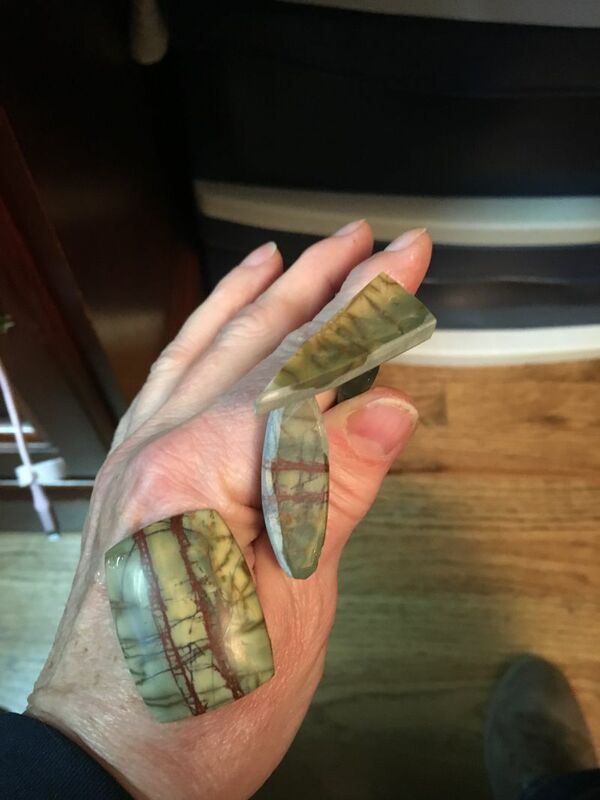 Sometimes Cherry Creek is sold as Multicolor Picasso Jasper.